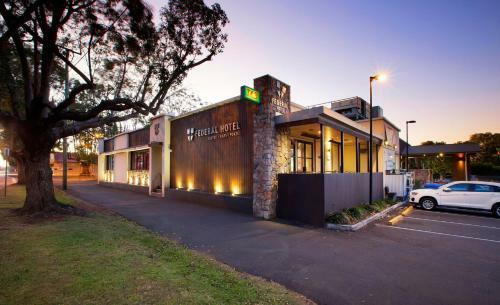 The Federal Hotel Motel is located in the centre of Toowoomba. 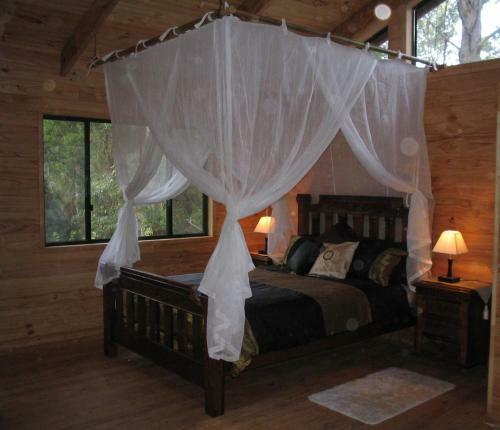 The Ravensbourne Forest Chalets for a quiet getaway. 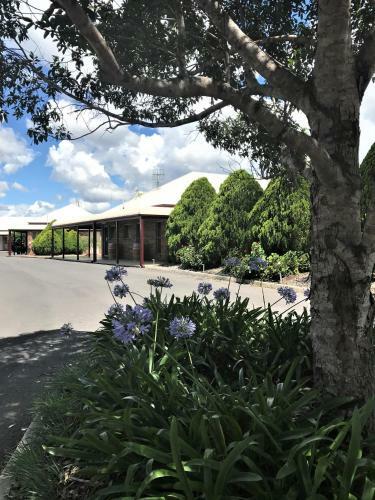 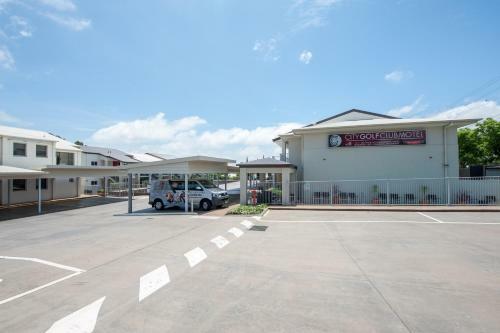 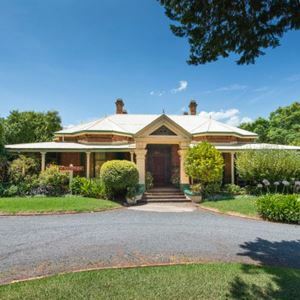 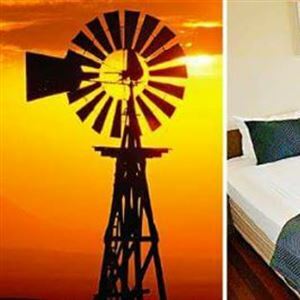 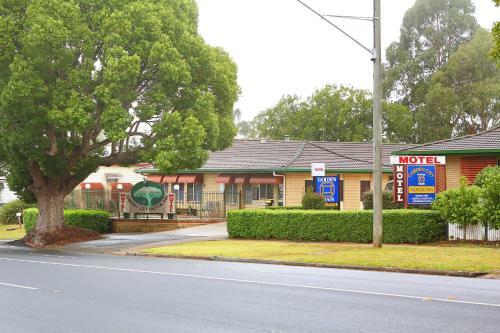 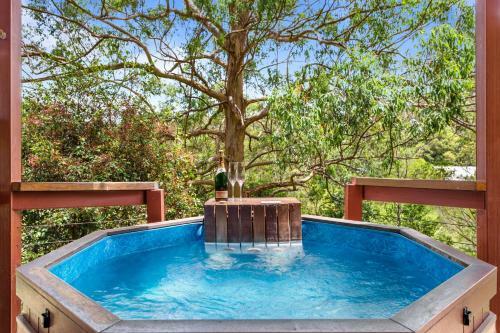 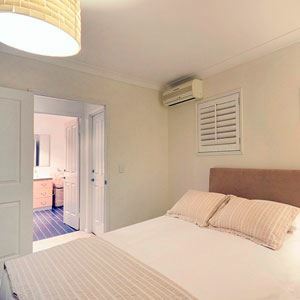 The impressive City Golf Club Motel with its self contained accomodation, overlooks the City Golf Course and yet is only five minutes from Toowoomba's city centre. 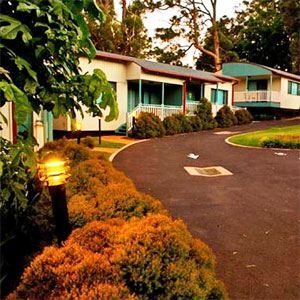 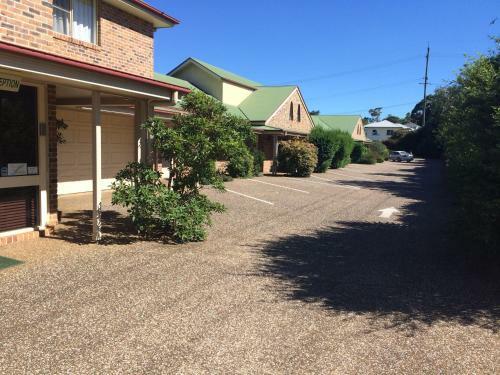 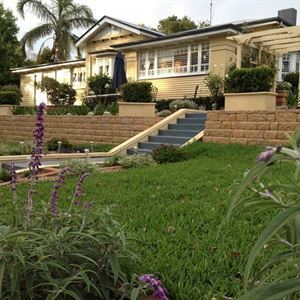 Country Gardens Motor Inn is only minutes from the centre of Toowoomba. 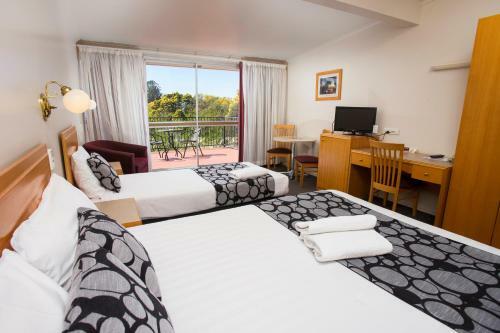 Featuring a variety of accomodation styles to choose from - five spa suites, family and some with kitchenettes. 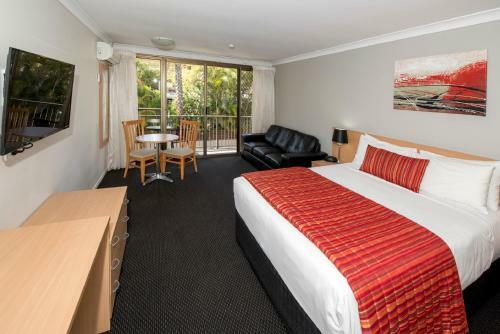 Quality Hotel Platinum International was built to a 4 ½ Star AAA/RACQ Rating. 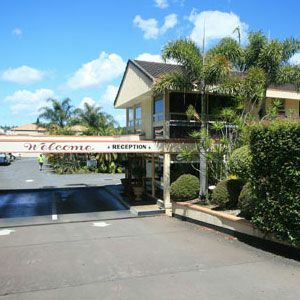 Toowoomba's Coachman Motel is located at the top of the range and is part of the Budget motel group.